Oh, Chris! And the look on her face with the tattoo is so classic! "Don't mess with me! I'm a biker chick! I could run you down!" 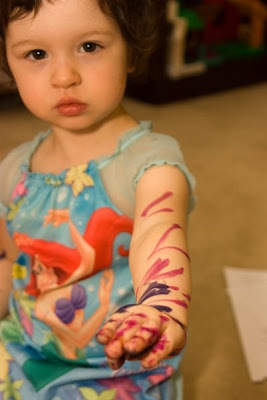 I see she's a full sleeve kind of girl with the ink! And ditto what Heather said about the look on her face.